Tired of our beloved downtown not having spaces to sit, rest and meet with friends? Think our community could use an extra dose of vibrancy and excitement? 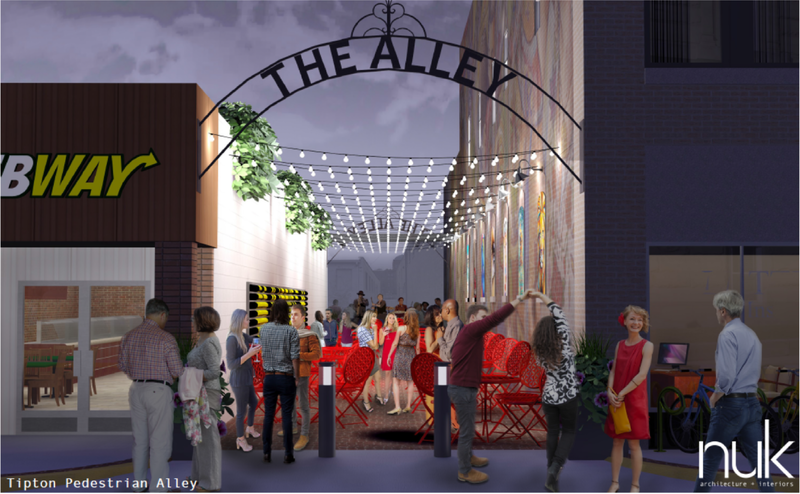 Then get ready for “The Alley,” a great new public space coming downtown thanks to a partnership between Tipton Main Street Association and the Tipton County Economic Development Foundation. 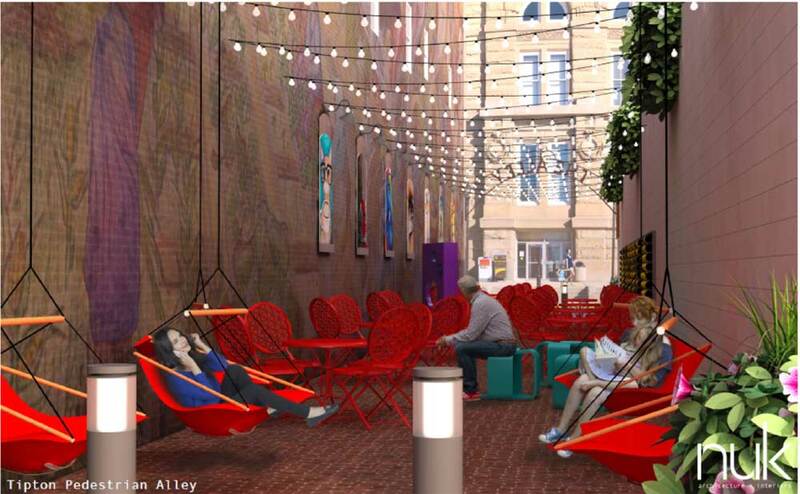 With a $40,000 budget, we’ll be able to turn an empty downtown alley into an engaging gathering place for residents and visitors to meet friends, eat food from local businesses, read a book, enjoy a live event or just sit and enjoy a sunny day. Once built, this space will be a cultural asset not only for our downtown, but for all of Tipton! We have the space planned and the budget set, but we need YOUR HELP to make this project a reality. We can receive a $20,000 grant from the Indiana Housing and Community Development Authority towards this project, but only if we raise $20,000 from people like YOU first. This will be a place for residents and visitors alike to enjoy our downtown, the view of the courthouse, and even special events from the Main Street Association and its partners. Donate today and help us bring this all to life! …and how the alley will look after your donation. For far too long we have lost our identity as a community. We’ve struggled through recessions, uncertainty, and a shrinking population. Projects like this, where we come together as neighbors and family, is how we start restoring the community we all love. 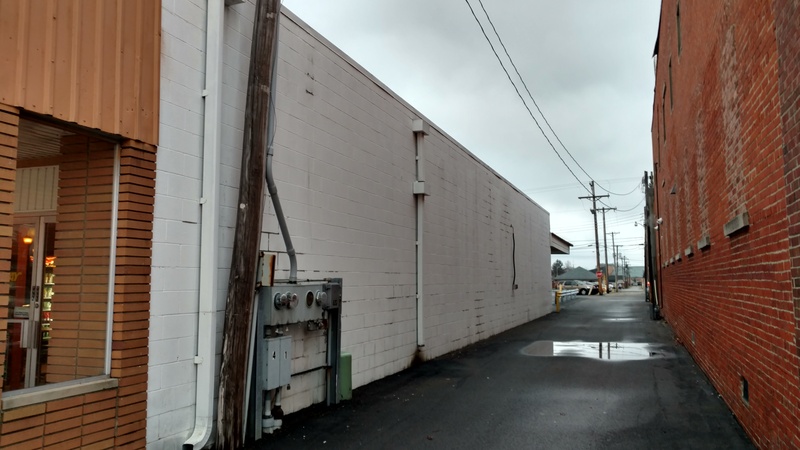 “The Alley” is much more than an alley re-purposing, it is a community-building effort. Projects like this send a signal to all that Tipton a unified, caring city; a great place to live and raise a family. We know Tipton is that kind of community – it’s time the rest of the world knows it too! The Chamber of Commerce, City of Tipton, the Tipton County Economic Development Organization, the Tipton County Economic Development Foundation and many local businesses have already come together to start this rebuilding effort – now all we need is you!